What IS Labor Day, Anyway! According to Google, it is "a public holiday or day of festivities held in honor of working people, in the U.S. and Canada on the first Monday in September, in many other countries on May 1." Of, course, in Canada it is Labour Day. It is also the day that "unofficially" marks the end of summer and for many is the last holiday before schools starts. There are actually states that have passed legislation to prevent school from starting prior to Labor Day! That is really hard to fathom in my "neck of the woods" since our students have been back in the classroom for 5 weeks — our teachers went back on July 25! But for all of us, Labor Day is a time to have one last long weekend before the Fall gets into full swing. My husband says this weekend had better football games than during the Bowl season! However you chose to celebrate this weekend, I hope you stayed safe and had a bit of relaxation and fun! Speaking of Fall... The year is already speeding by ... we are working hard to get everything lined up for the 2017 Winter Hybrid conference! The location is spectacular — on the Clearwater Beach at the Sheraton Sand Key if you join us on site. The dates are Feb. 23-24. We will have the first day on practical applications for schools in the area of Mental Health services and the second day will be on legal issues generally and as it relates to Mental Health. Remember, this is a hybrid conference — one designed to be used as a get-away conference OR you can use our content and have your own mini conference so those in your community can participate without having to travel! This conference format is perfect for maximizing your professional learning dollars since the registration for sites is the same as just one registration! All you need is a room big enough for your participants, a computer/internet hook up, an LCD projector, and sound and you are good to go! Watch for more details in the weeks to come — Registration will be up soon! Only 10 more days to take advantage of the great special Organizational membership offer! This offer is only good through Sept. 15 so act on it now! CEC Executive Director Alex Graham has put together this terrific professional learning package to benefit your staff and in the long run, your students! Be sure to carefully consider this offer with the free professional insurance, special books to assist you in your job this year on top the already great components of the District Membership package! CEC leadership must represent our members and every one of our members has a voice in electing CEC's future leaders. CEC leadership must represent our members and every one of our members has a voice in electing CEC's future leaders. Help CEC achieve a voting rate of 10 percent. Last year's voting rate was approximately 5 percent. The voting period is Sept. 21 — 3:00 p.m. EDT Oct. 19. Members with an email addresses will receive an email with a link to the voting site and those without will receive a paper ballot. Contact service@cec.sped.org to verify or add your email address and update contact information. Get ahead of the election by checking out the candidates! View the ad announcing candidates. Units, divisions and members can promote the election but not an individual candidate. What we can do is encourage you to VOTE! Questions: Contact Sharon Rodriguez at sharonr@cec.sped.org or 703-264-9415. Last week's poll asked which of the following topics is most important to you and your district/state? First place with 47 percent of those answering the poll was teacher recruitment and retention. Second place at 33 percent was IDEA funding. There was a three-way tie for third at 7 percent between youth mental health, early childhood and reducing paperwork burden. We think many of the products CASE is producing now along with our great professional learning offerings go a long way in giving you the tools you need to recruit and more importantly retain quality staff! I sincerely hope you are reading this on Tuesday and that you had a great time celebrating Labor Day! Please find ways to communicate to your CASE leadership about what you need from us! Leave us a message on our Facebook page or let us hear from you on Twitter or Email me ... but just let us hear! Need a room for the CASE/NASDSE Joint Conference, Sept. 25-27? Check the CASE website for additional options! It's that time of year — Are you considering adding administrative staff? Behavior contracting is a positive, goal-oriented method to motivate, monitor, and change student behavior. A behavior contract is a written contract between a student and a teacher or administrator specifying behavioral expectations. Expectations should be set through a collaborative meeting with necessary members (e.g., teacher(s), administrator(s), and the student). The use of positive rewards for meeting expectations is essential, and punishments for not meeting expectations should be avoided. Research on this strategy has demonstrated that it is a cost-effective, proactive intervention that serves as a positive alternative to suspension for student misbehavior. Three new Data Points released look at trends in reports of bullying, use of hate-related words, and other unfavorable conditions in the nation's schools. The reports from the National Center for Education Statistics, in the Institute of Education Sciences, use data collected in the School Crime Supplement to the National Crime Victimization Survey. Trends in Bullying at School Among Students Ages 12 to 18 shows that the percentage of students who reported being bullied at school declined from 2005 to 2013. Trends in Hate-Related Words at School Among Students Ages 12 to 18 shows that, from 2001 to 2013, there was a decline in the percentages of students who reported being called a hate-related word or seeing hate-related graffiti at school. Among students who reported being called a hate-related word at school, the percentage of students called a gender-based hate word decreased from 2001 to 2013, while the percentages of those students called hate words based on race, ethnicity, and sexual orientation increased. Have you encountered an intelligent, hardworking student who excels in most subjects but struggles with reading? This student is likely battling the most common cause of reading, writing and spelling difficulties: dyslexia. Download our whitepaper to learn the 7 common signs and strategies to address their needs in the classroom. 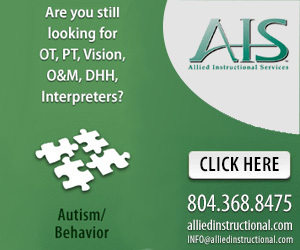 Skills® empowers schools to create individualized teaching plans for children with autism spectrum disorder. Improve learning outcomes and provide measurable, data-driven progress on IEPs! Click here to learn more about Skills®! Could this new observation method boost behavioral and academic outcomes? Why do kids go to school? Americans are divided on the answer, a new poll shows. 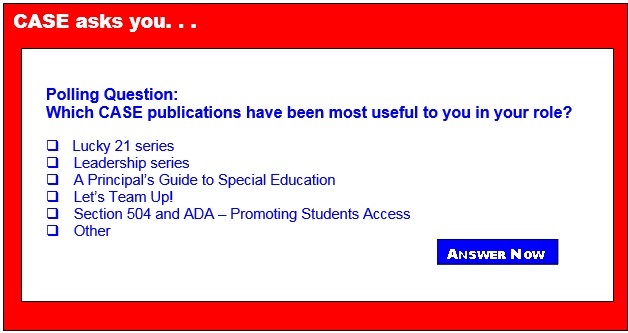 Program: Education Research and Special Education Research Grant Programs. Summary: The central purpose of the Institute of Education Sciences' (Institute) research grant programs is to provide interested individuals and the general public with reliable and valid information about education practices that support learning and improve academic achievement and access to education opportunities for all students. These interested individuals include parents, educators, students, researchers, and policymakers. In carrying out its grant programs, the Institute provides support for programs of research in areas of demonstrated national need. Deadlines: The dates when applications are available and the deadlines for transmittal of applications invited under this notice are indicated in the chart at the end of the FR notice. Dates: Final rules announced: Aug. 19. This final rule is effective: Oct. 18. Summary: The Departments of Education (ED) and Labor (DOL) (or, collectively, Departments) issue this Joint Final Rule to implement jointly administered activities authorized by title I of the Workforce Innovation and Opportunity Act (WIOA) signed into law on July 22, 2014. This Joint WIOA Final Rule provides guidance for State and local workforce development systems that increase the skill and credential attainment, employment, retention, and earnings of participants, especially those with significant barriers to employment, thereby improving the quality of the workforce, reducing dependency on public benefits, increasing economic opportunity, and enhancing the productivity and competitiveness of the nation. This final rule is effective: Sept. 19, except the removal of part 388, amendatory instruction 13, is effective on Oct. 1. Summary: The Secretary amends the regulations governing a number of programs administered by the Rehabilitation Services Administration (RSA) to implement changes to the Rehabilitation Act of 1973 (Act) made by the Workforce Innovation and Opportunity Act, signed on July 22, 2014. The Secretary also implements changes to the Act made by the Workforce Investment Act of 1998, signed on Aug. 7, 1998, that have not previously been implemented in regulations, and otherwise updates, clarifies, and improves RSA's current regulations. limitations on use of subminimum wage. Dates: These regulations are effective: September 19, 2016, except for amendatory instructions 2, 3 and 4 amending 34 CFR 361.10, 361.23, and 361.40, which are effective Oct. 18. Summary: To implement the changes to the the Rehabilitation Act of 1973 (Act) made by the Workforce Innovation and Opportunity Act (WIOA), the Secretary amends the regulations governing the State Vocational Rehabilitation Services program (VR program) (34 CFR part 361) and State Supported Employment Services program (Supported Employment program) (34 CFR part 363). In addition, the Secretary updates and clarifies prior regulations to improve the operation of the program. Finally, the Secretary promulgates regulations in new 34 CFR part 397 that implement the limitations on the payment of subminimum wages to individuals with disabilities in section 511 of the Act that fall under the purview of the Secretary.